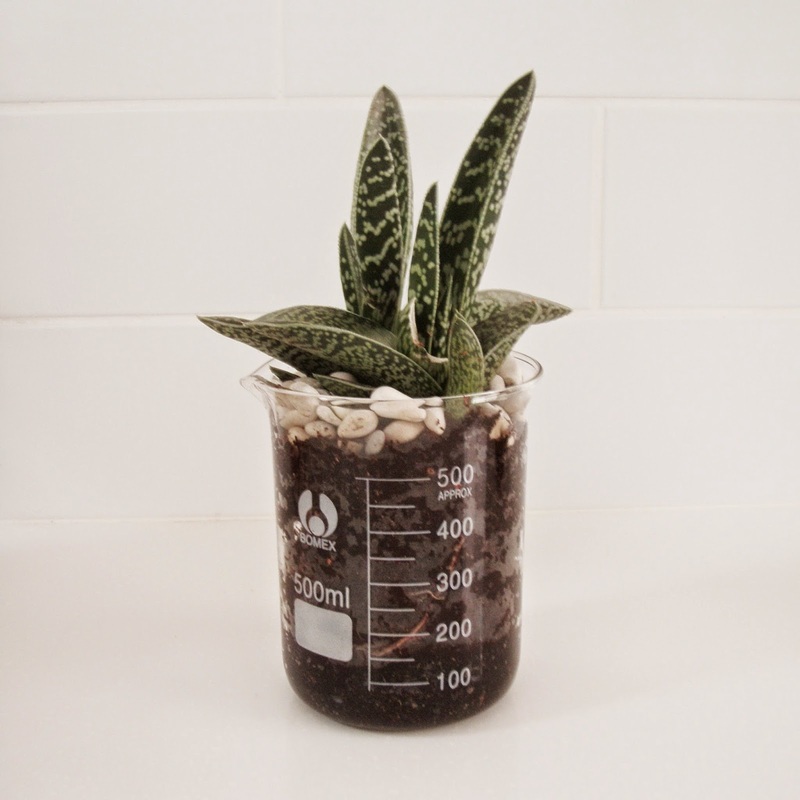 What do you get when you cross a landscaper and a research scientist with an interest in home decorating? 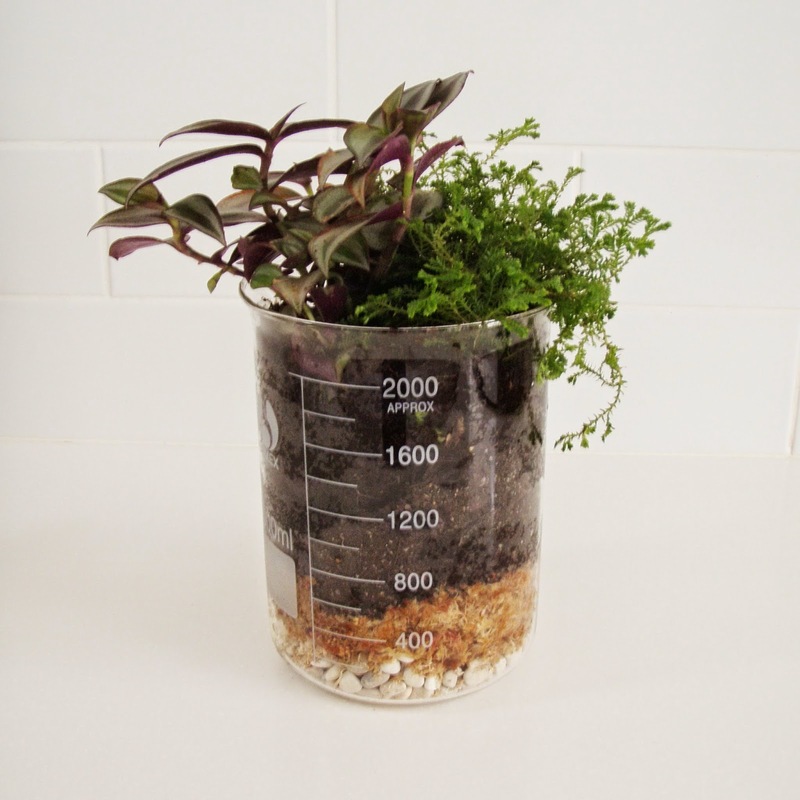 You get our new additions to our shop - scientific glassware used as planters - a perfect GEEK addition to your home. They look fabulous on their own or displayed as a group. 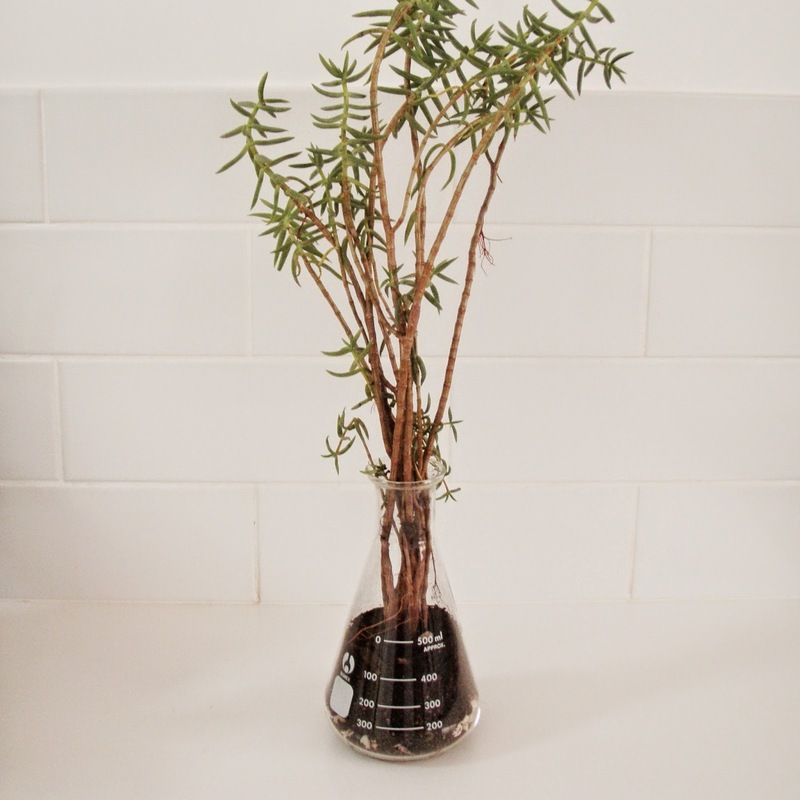 These potted plants are now available for sale in our shop, priced from $25.00. Plant choices may vary depending on the season. Please note that these items are available for pick-up only from our two Sydney locations. 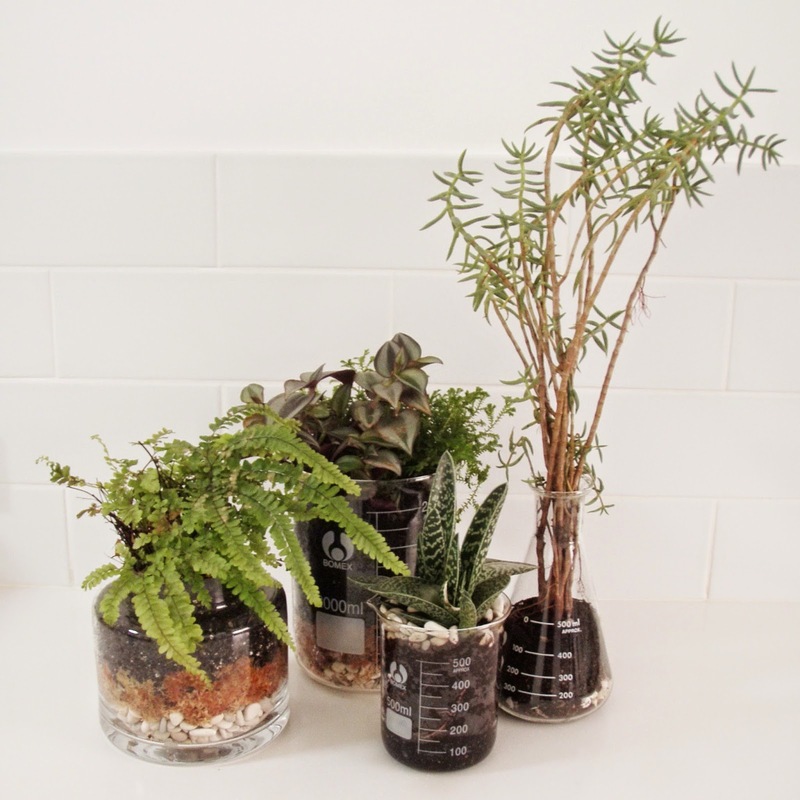 Please contact us if you would like us to make up a custom planting for you and we can email you a quote (email - info@roomtodecorate.com.au).